SAVE WITH NEW SECURITY PRICING! Electronic Life security system pricing has been revamped and is now even better! Now you can choose to buy or lease, with monitoring packages starting at just $15 per month with no contract required! All of the Electronic Life security systems can be controlled and monitored remotely via a mobile app. Home and Business automation is easy to add with support for wireless lighitng automation, thermostats, video cameras, garage doors, and more! We've all been there—walking through the door into a dark house, arms full. Wouldn't it be nice to tell your house to offer a helping hand? Now you can. 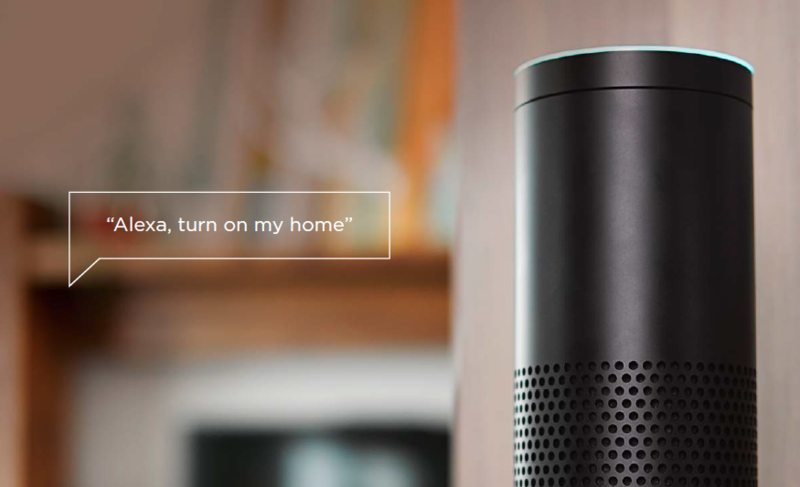 A simple voice command—such as "Alexa, turn on Welcome"—lights up the hallway and kitchen, fires up your favorite Pandora station, while the door locks itself behind you. Prewire now and save in the future! We get asked all the time "What should I wire for when building my new house?" and the reply is always "As much as possible!". It's tremendously easier and less expensive to get wiring in the walls before drywall goes up! Let Electronic Life serve as your adviser during this stage, it's what we do best! Even though "wireless" is the big term these days, there are still an awful lot of devices that work best when hardwired. Wireless devices work on batteries and wireless signals. Batteries need replaced over time, and wireless signals can vary based on the environment. Hardwired devices connect directly to each other, which typically results in faster, more robust performance. So while wireless is fine for some things, we still highly recommend to wire everything possible now, so that your system will work at it's best. TV, Phone and Internet wiring- where will any TV's, media players or computers go? Security System wiring- this includes security systems and video cameras. Distributed Audio wiring- what rooms or areas do you want sound? What do you want to hear in those areas? TV, Satellite, Netflix, Pandora, iTunes, etc. Access Points- want super-strong WiFi? Make sure to wire for a few access points throughout the property. Control- How do you want to operate all your TV's, Sound systems and other automated devices? Do you simply want handheld remote controls? Or touchscreens and mobile apps? Automated devices- do you want things like automated window shades, door locks, garage doors, and lighting? Planning these items will save you a bunch of money down the road. When you are building or remodeling, it's much easier for our Electronic Life techs to prep for whatever it is you want now and later. Electronic Life can help you in many different ways! We can simply help you establish a rough scope of work and budget, or we can go the full distance and implement complete design and engineering services. It's up to you! Click here more some ideas and more info, or contact one of us today for a free estimate! Looking for a simple way to control all of your audio/video equipment, and still have a platform for starting a home automation system? Look no farther than Control4 and Electronic Life! Control4 offers some great entry-level packages that can give you complete room control of all your A/V system devices, plus adds a handful of dimmers to get you a starting point on lighitng control, and a media server for streaming your favorite music from sources like Pandora, Rhapsody, etc. With an on-screen TV display and a free app for also using your phone or tablet, theres no easier way to get started with home automation! Want more details? Check out this page and click here to contact one of our reps for a free estimate! 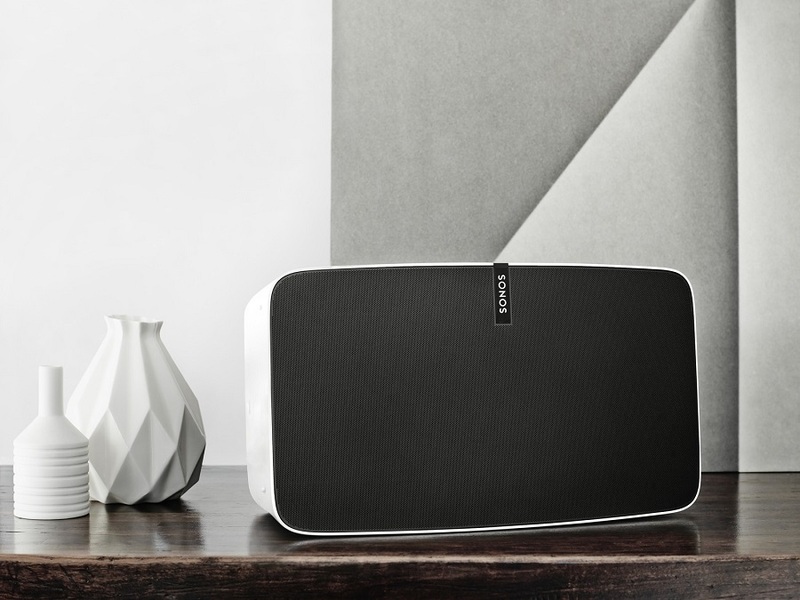 Now you have an even better reason to switch (or upgrade) to Sonos! No longer do you need a device hardwired to the internet!